The Visual Science Lab / Kirk Tuck: Learning to love reading. That was a special year. 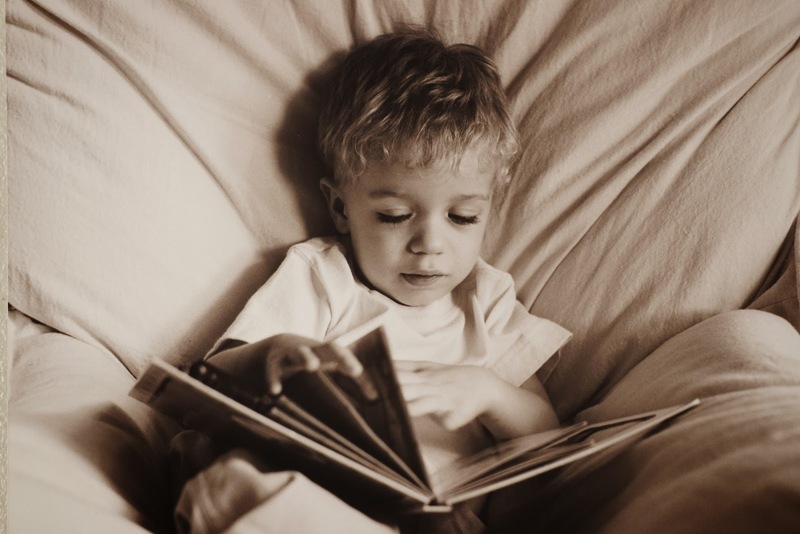 Learning to love reading. That was a special year. Now he's meeting with colleges and trying to make up his mind about where to go off to school. That was a fast few years. Leica M6, Summilux 50mm 1.4. Neopan 400. Kirk - clearly captured in the words of a song. turn around and you're a young man headed out of the door". I have a son your age, 2 daughters slightly younger, and my comment is the same as yours. That was a fast few years. Never hesitate to record your closest and precious! Time goes so fast..My kids now parents..
the months,the years flash by. Someone asked "How fast are you traveling?" What a simple, beautiful photograph..
time does fly so, so fast. Mine is in college, but seems just like yesterday I was changing diapers. You've posted great pictures of yours. Pictures are a way for us to remember, My regret is I ddn't take as many of mine as I would have liked. In a flash, they grow up. My sons are 29 and 30, both married to wonderful women and well on their ways in their own lives in new cities. Last week the three of us played golf together and it was like we had gone back 15 years in time. Goofing off, laughing, cheering each other on...fun times. As much as things change, the important parts stay the same. Congratulations on the good things in life, Kirk. Sometimes, Mr. Tuck, I feel like for your personal work you maybe should switch back to your old hasselblads and leicas. The hasselblad made pictures of your wife were the hook that made me a regular visitor of your site two or three years ago. Our granddaughter devours books. Her mother published this imaginary exchange between a mother and a daughter who likes to read. Daughter: I'm going to finish my book tonight. Mother: It's 600 pages and you just bought it. Daughter: You underestimate my powers.